H2 Tibbits are merged M2T and C2 devices. They occupy the combined space of one M2 and one C2 Tibbit. 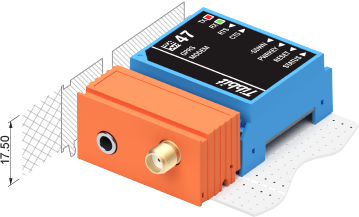 The H2 form factor is used when it is unsafe or undesirable to interconnect M2 and C2 Tibbits via a Tibbo Project PCB (or any other host board). 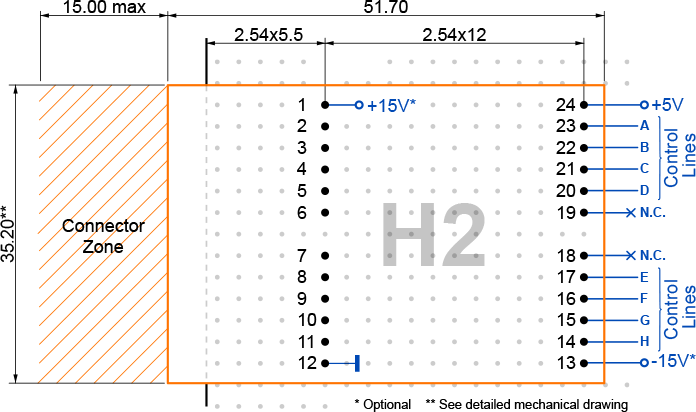 H3 devices can have up to eight status LEDs on the M2 side. Pins on the M2 section have the standard positioning, except not all of the pins 1-11 may or may not be present. This is because the M2 and C2 sections of hybrid devices are interconnected directly.